Dinghies, yachts, kayaks, canoes and ferries: these are all watercraft you can expect to see on Vancouver Island’s shores. But a bathtub? That’s something entirely unique but it’s not unheard of. 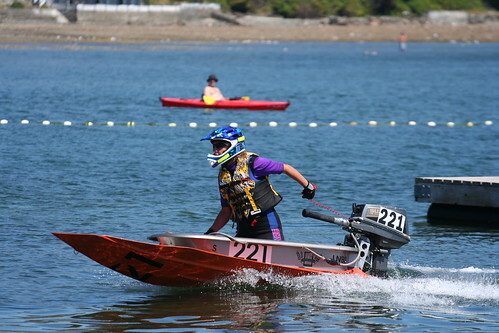 The Nanaimo Marine Festival and World Championship Bathtub Race is set to kick off tomorrow. While a number of events will take place over the festival weekend from July 19th through to the 22nd, the bathtub race really is the main draw for spectators. In fact, my cousin, Richard, was a past winner in both 1996 and 1998 in the modified category. Since 1967, “tubbers” have been attempting the 90-minute course from Nanaimo Harbour to Departure Bay under sunny July skies (though until the mid-’90s, the course ran across the Georgia Strait to Vancouver’s shores). Competitors craft their sea-worthy boats out of almost anything you can imagine, but including a bathtub in the design is key. Apart from the race, the Nanaimo Marine Festival also features a number of other mostly free, family-friendly events and the Bathtub Days Street Fair. These events include everything from a pancake breakfast and live music to arts and crafts merchants and even a kids’ bouncy castle. The weekend draws to a close with an incredible fireworks display! Be sure to make your way to Nanaimo’s waterfront this weekend and enjoy this annual seaside tradition. 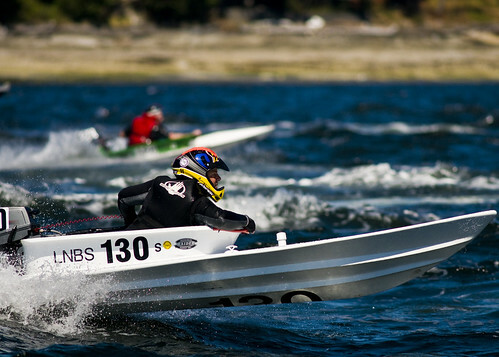 For more information on the Nanaimo Marine Festival and the World Championship Bathtub Race, visit the Loyal Nanaimo Society online. You can also visit the bathtub race page on Facebook or welcome the Society to the world of Twitter!